The Cricket Australia internal review is out and there are recommendations all over the show. 42 of them even. Arrogant, bullying and dictatorial. That’s the headline defining the review, but is anything really going to change? The Germans probably have a word to describe the feeling when you read the first recommendation in a report containing 42 recommendations, and you realise the following 41 recommendations need to be treated with a grain of salt. Australian Cricket establish, as a standing body, an Ethics Commission: To be comprised of three persons – with at least one male and one female member; Nominated by the Board of Cricket Australia; Appointed only with the unanimous agreement of: Each State and Territory Association; The Australian Cricketers’ Association; Cricket Umpires Australia. The purpose of the Australian Cricket Ethics Commission would be to hold all participants in Australian Cricket accountable to the ethical foundations for the game as played in Australia in accordance with How We Play, the Spirit of Cricket, the Laws of Cricket – and any successor documents that establish ethical standards for the game. The Australian Cricket Ethics Commission would have no formal powers. Its influence would lie solely in its capacity, in private and/or in public, to approve or disapprove of: Certain practices occurring on or off the field of play, or in the administration of the game; The conduct of organisations involved in the governance, management or advancement of cricket in Australia. CA supports the Recommendation and CA will implement it in a manner consistent with the format used by the ICC. CA will appoint an independent Ethics Commissioner with direct access to the Chairman and the CA board. The CA Board believes that consideration of ethical matters is part of the responsibility and accountability of the board, CEO and Executives. CA will consult with key stakeholders on both the terms of reference and the appointment of the Ethics Commissioner. Wow. The Australian Cricket Ethics Commission would have no formal powers. What a masterclass in pointless window dressing. Let’s be seen to do something; we need to build bridges with the public and more importantly sponsors, but let’s not actually implement anything that can actually have the power to achieve anything. This should not surprise anyone; in the Press Conference today Cricket Australia chairman David Peever said: “I’m not embarrassed”. This is the chairman who has overseen all the carry-on that the 42 recommendations are meant to address. Three players have copped punishment, this report indicates the problem is systemic, yet the head of it all stays on. And he’s not embarrassed. And David Warner has reminded us over the last couple of weeks that such a culture does not change quickly. And a powerless Ethics Commission / Committee isn’t going to change that. It is impossible not to see this exercise as anything other than some low quality spin that does not take any ownership for the core problem. Four days ago he was re-elected as CA chairman. Four days before the report was released that exposed a rotten culture. CA develop and disseminate practical guidance on how to identify and manage ethical dilemmas. CA supports this Recommendation. CA will include this Recommendation the terms of reference for the Ethics Commissioner and the People, Culture and Ethics Committee. That’s that committee (or was it a commission? ; shows how seriously they’re taking this) that has no power. CA senior management receive additional training to develop their communication skills. CA supports this Recommendation. CA will review and enhance communication skills training. That’s great; because the current communication is full of middle-management buzzwords, meaningless waffle and spin. 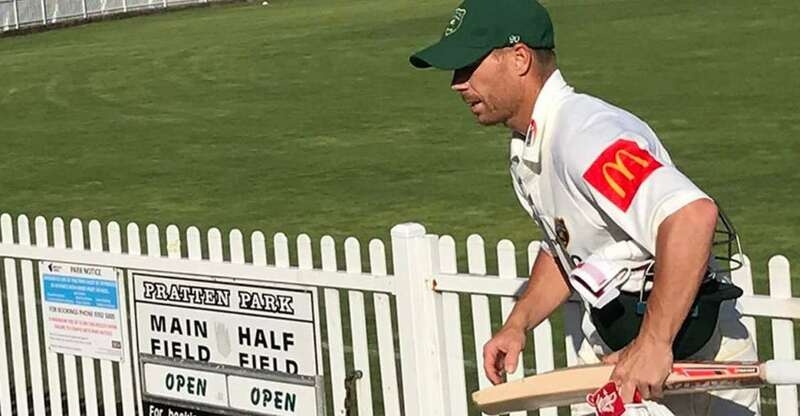 Since then we’ve had Justin Langer (new coach) saying ball tampering is a global problem, Brad Haddin (assistant coach with form) saying we all need to move on, and some comments from Greg Dyer (remember him?). And they don’t even pretend to care about the symbolism. If Australia wasn’t such a dominant force in world cricket this would be hilarious.